For the week of February 13th-19th, five residents of Donetsk People’s Republic (DPR) were injured, and two were killed, a representative of DPR Ombudswoman’s administration informed Donetsk News Agency. According to the representative, of five people injured and hospitalized in the course of shelling, three are civilians, and two are soldiers of DPR army. During the week before, three people were killed, and three were injured by shellings of the Ukrainian army. 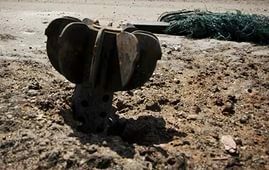 According to the reports, civilians are being killed and injured by stepping on mines that are set on the country roads by the Ukrainian army. The situation in the front-line zone remains tense.